Orbiting a verdant planet deep in space, a scientist watches over the final stages of her greatest experiment, the last sentinel of an advanced human culture that has long since fallen. On the planet below, guided by an advanced nanovirus, a new species is being artificially uplifted to sentience, the unintended beneficiaries of an experiment gone wrong. In deep space, escaping from a home world that will no longer support them, are the last vestiges of the human race hunting down their lost heritage, and more importantly a place to call home. 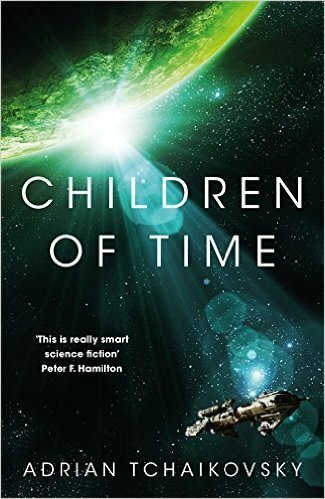 Children of Time is an expansive tale that spans thousands of years, while still maintaining 3 distinct points of view on the story. Our main human point of view character is Holsten Mason, a classicist whose field of study is hundreds of years into our future. The humanity he knows is one that has dragged itself out of a self-inflicted dark age and is still a shadow of its former glory. But now the Earth is no longer able to sustain life and the remaining population have taken to the stars in hastily constructed arc ships. Holston keeps being pulled out of cryogenic sleep whenever there is translation work to be done. It is only through his knowledge of historical Earth civilisations that the arc ship is able to communicate and understand the relics of humanity’s past. Sleeping through thousands of years of travel, Holsten gives the reader a constant character point of view. On the planet we follow the descendants of 3 spiders as they are manipulated by human science towards sentience. Over generations we see them form a complex society that is both familiar and alien. Maintaining the same names across the generations helps the reader maintain a connection to characters that are short lived within the greater timescale of the book. Dr Avrana Kern represents humanity at is scientific height. Her life work has been the pursuit of creating a new sentient race, which unfortunately becomes the spark that ignites humanity’s downfall. While not a major view point character, due to advanced human technology she maintains a presence throughout the story. 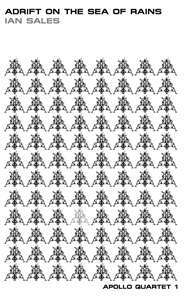 For a science fiction novel, the science takes a back seat to the characters and the ideas surrounding the sentient spiders. The story neatly mimics the human characters’ knowledge of the technology they are working with, much is salvaged from a more advanced time and there isn’t background knowledge on how it works. 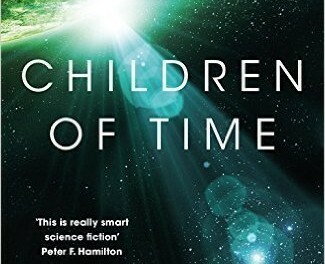 This means Children of Time is a great book for those that would like to read science fiction, but may be turned off by too much raw science. The spider technology and society is inventive and interesting to read, putting the author’s interest in bugs to good use. It was interesting to be inside the head of a spider (so to speak) and see the natural spider thinking being adapted and blended by the nanovirus into accepting a more human way of thinking. Needless to say, this is not a book for those with a phobia of spiders! While the hardback book comes in at 600 pages, the story is extremely engaging and kept me engrossed throughout.